Provides adequate sound and visual services during church functions and events. Provides Christian and Historical stories through art of performance in the theatre. Provides every member, visitor and guest with a warm welcome in the form of a smile, hug and/or a handshake, and is there to answer any question. Youth Style church service, where youth are able to worship and learn biblical lesson on their own level. Art of storytelling through dramatic dance and acting. Provides praise and worship through song available to all Adult Men & Women, Young Adults and Youth. Practices vary throughout the month. Provides child care service for families who have toddlers, where they are able to fellowship with other children and learn bible lessons. Provide resources to Pastor and guest preachers and to help address the basic physical needs of the members during church service. Captures special moments in real time during church services and special events. 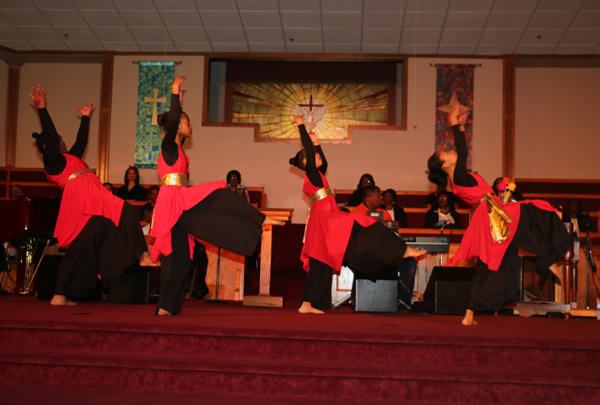 Art of storytelling through liturgical and modern dance.